About "Characteristics of quadratic functions"
If we draw a graph for a quadratic equation we will get the shape parabola. Each quadratic functions will have some characters. The axis of symmetry of a parabola is a vertical line that divides the parabola into two congruent halves. The axis of symmetry always passes through the vertex of the parabola . 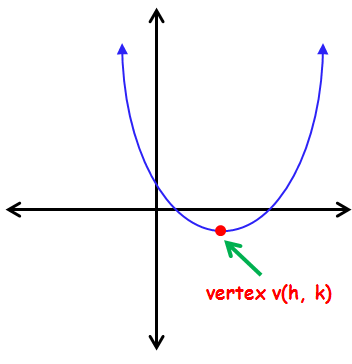 The x -coordinate of the vertex is the equation of the axis of symmetry of the parabola. 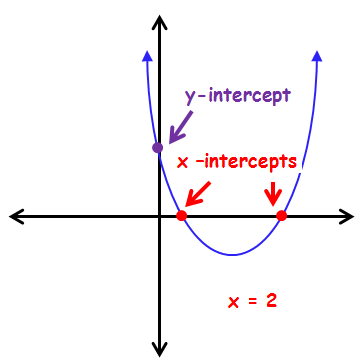 The point at which the parabola cuts the x-axis is known as x-intercept.To find x-intercept we have to put y = 0. 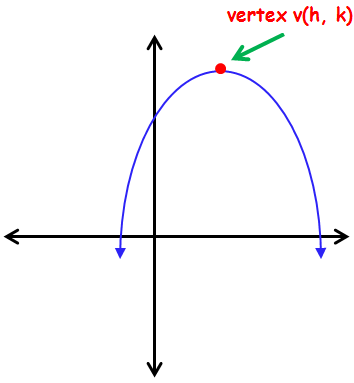 The point at which the parabola cuts the y-axis is known as y-intercept.To find y-intercept we have to put x = 0. We can get the zeroes of a quadratic function by applying y = 0. Zeroes of a quadratic function and x-intercepts are same. The vertex of a parabola is the point where the parabola crosses its axis of symmetry. The vertex of the parabola is the highest or lowest point also known as maximum value or minimum value of the parabola. 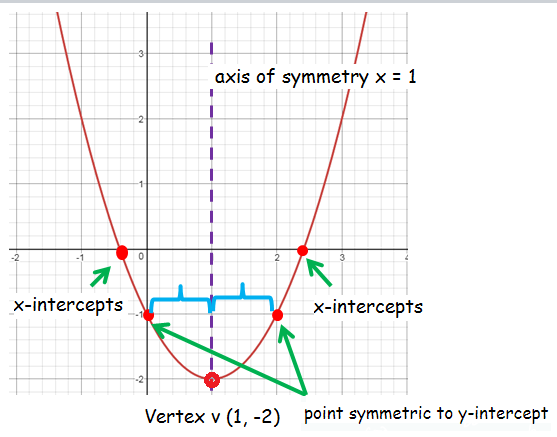 The y-intercept (and other points) can be reflected across the axis of symmetry to find other points on the graph of the function. 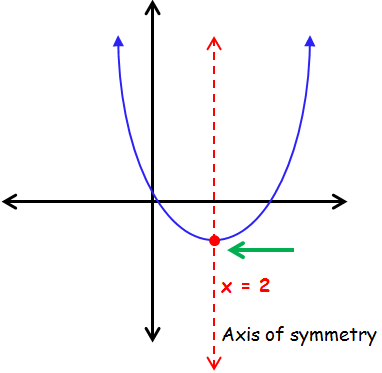 The points which are having same horizontal distance from the axis is known as symmetric points. Symmetric points is also known as mirror point. Find the equation of axis of symmetry, x and y intercepts, zeroes, vertex and point symmetric to y-intercept. Sketch the graph of the equation. The given parabola is symmetric about y axis. Since a > 0 the parabola is open upward. plug x = 1 in the given equation in order to get the value of y. 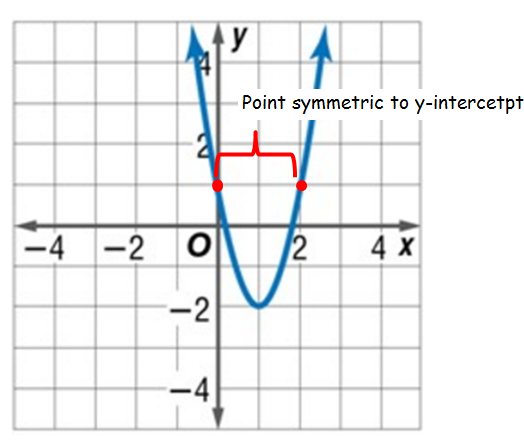 The point symmetric to y intercept will have the same horizontal distance from the axis of symmetry. To find that point we have to apply the value of y in the given equation. After having gone through the stuff given above, we hope that the students would have understood "Characteristics of quadratic functions".